I really try to refrain from writing blogs about heated issues. Not because I don’t have anything to say about them, but mainly because I am concerned about making the white people that I know and love uncomfortable. I’m just being honest. The crazy part is…I almost feel guilty or ashamed to post something and express my outrage. I feel if I say something people may feel like I’m over reacting or being radical, emotionally charged…dramatic. Accuse me of falling into the traps of sensationalized media coverage. As if I don’t have a right to feel sad, angry, or afraid about my fellow black people being killed in cold blood. But, I do. Don’t tell me how to FEEL. My daddy is a black man that I love dearly. My husband is a black man. My family is full of black men that I unfortunately fear for. I hate that the world is the way it is and that hateful people are the way they are. But it doesn’t matter! I can’t wipe this off…I’m black. And stop it. No. NO you are NOT color blind. How dare I feel like I need to be silent about things happening to people that look like me. Let’s be honest, just because they’re black. Kill first and ask questions later. Yet, I often feel like I should be silent. I blame it on the comment section. I blame it on the statuses I see some of you Facebook friends post, you know the ones where you defend the murderers. Notice, I said murderers because I am talking about them…not the real POLICE OFFICERS who do their jobs lawfully. There’s a difference. And I salute those officers that I know put their lives on the line to serve and protect. You’re the real MVPs. So, before anyone starts to let me know how much #BLUELIVESMATTER…I already know that. I appreciate the boys in blue who pull their triggers as a last resort…not a first one. How dare I feel like I should be silent? I blame it on how some of you counter #BLACKLIVESMATTER with #ALLlivesMatter. That argument is so exhausting, I swear. You know, as if we said that they didn’t matter in the first place. How dare we support a movement that promotes the fact that we matter TOO? I blame it on the fact that when they killed that gorilla you were outraged, but today…you haven’t posted a thing. All lives matter though. Or, maybe you don’t know what to say? It’s uncomfortable, isn’t it? Alton Sterling could have been my daddy out there. A black man I’ve known to do whatever he can (while still obeying the law) in order to provide for his family. That could have been MY daddy, y’all. None of this is surprising because the word of God warned us that times would get worse…and that’s exactly what’s happening. But we do not mourn as if we have no hope. I find peace in knowing this world is not my home and that one day I’ll be in a place where I don’t have to fear or be sad. So, honestly I pray for all of the people in the world with hate in their hearts. I ask that God replaces that hate with love. I know some will never change they will refuse, but I believe that some can and will. So, for those that will change – I pray it happens sooner than later. I pray for the police officers who are under so much more stress because they’re not the “bad guys.” I’m sorry that certain individuals out there have made your job that much harder. But, today I mourn – not just because I’m black, but because I’m human. I don’t care about a gun he had, I don’t care about a criminal past, no person deserves to be murdered in cold blood like that. Not when they’re being pinned down. Not dead in the chest. It’s not right. It’s tragic. It’s heartbreaking. 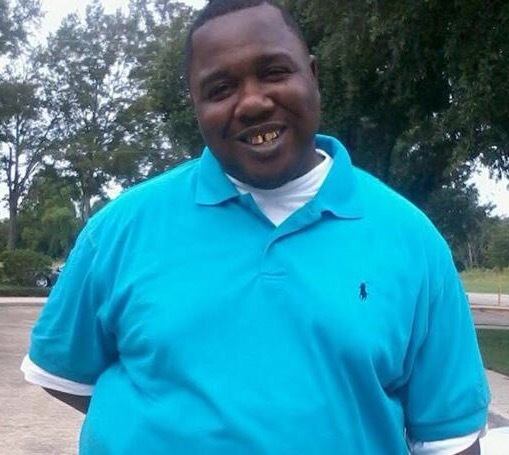 My prayers are with the family of Alton Sterling. God bless those children and comfort his wife through the sleepless nights.